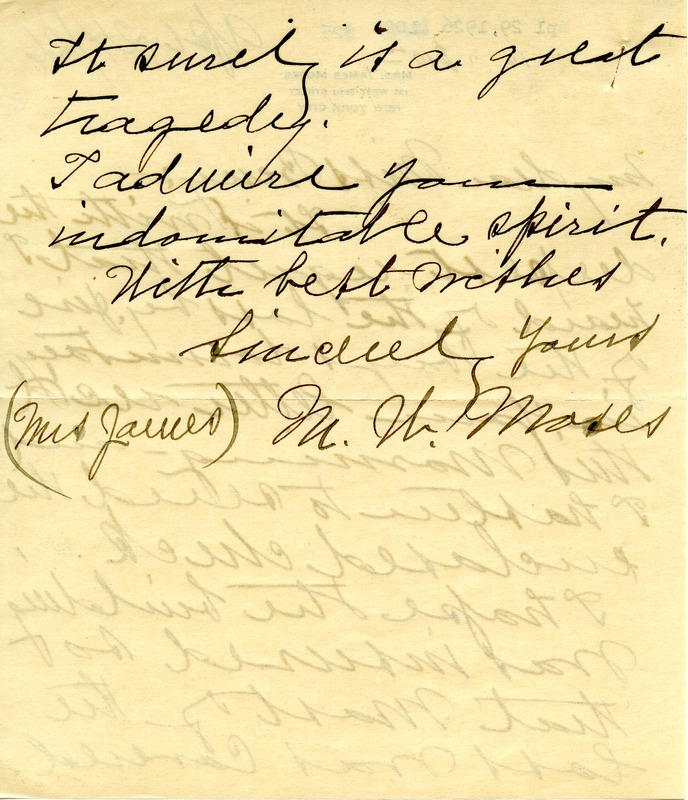 Mrs. Moses sends a donation to the Berry Schools to help towards the rebuilding of the dormitory lost by fire. 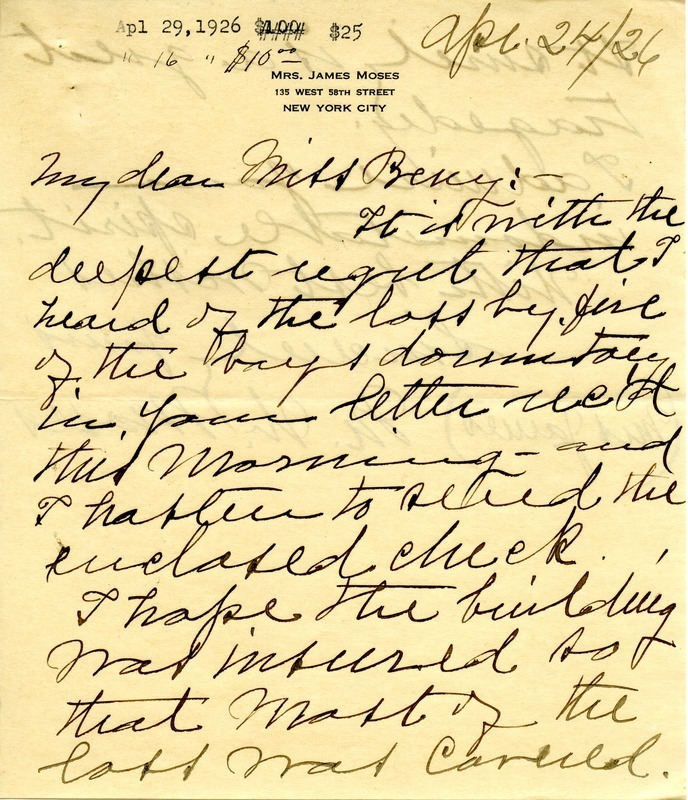 Mrs. M. Moses, “Letter to Martha Berry from Mrs. M. Moses.” Martha Berry Digital Archive. Eds. Schlitz, Stephanie A., Jessica Hornbuckle, Kelli Kramer, et al. Mount Berry: Berry College, 2012. accessed April 20, 2019, https://mbda.berry.edu/items/show/2572.